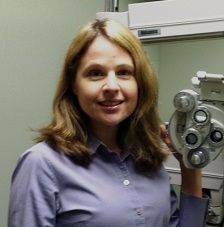 Dr. Valerie Giangrande is a partner in South Nassau Eye Care and practices at Optical Concepts. She is a graduate of SUNY College of Optometry and completed her residency at St. Albans VA Hospital. She practices full scope Optometry from diagnosing and treating common eye diseases to prescribing glasses and contact lenses. Dr. Giangrande is an active member of the Nassau County Optometric Society. Dr. Valerie Giangrande is involved in Epigenetics and Migraine Treatment. She works with experts in the field of personalized medicine and finding the root cause of migraines. Epigenetics works by improving the health of all cells in your body, using personalized nutrition and targeted supplements. For more information, please schedule an appointment with Dr. Giangrande to learn more about discovering and treating the root cause of your migraines without harmful drugs.